Mark your calendar app! 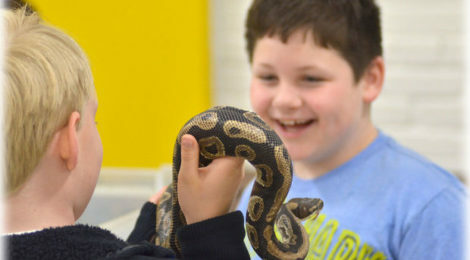 Mahtomedi’s own 10th Annual RITE (Really Into the Earth) of Spring event will be held Saturday, April 23, 9–12 at the Mahtomedi School District Education Center, 1520 Mahtomedi Avenue. This FREE family-friendly event is a great opportunity to connect with others in the community and to explore “Earth Friendly” ideas. Hands-On Water Workshops. Find out how much water you use compared with others in Mahtomedi. Get water saving tips and ideas. Register to win a water-efficient toilet. Composting Workshops. Find out how to make your own compost bin and your own gardener’s “black gold” from lawn and kitchen scraps. Electronics Recycling. Once again this year, you can bring in your old, outdated televisions, computers and any of those random electronic cords you’ve since forgotten what they belong to. We will also collect used batteries and Holiday lights for recycling. Unused Medications. Back by popular demand, you can bring in your unused and expired medications for safe disposal and prevent them from polluting our water supply. (We will not be able to collect needles, syringes, used Epipens, lancets, or thermometers.) You can bring these to the Washington County Environmental Center. We can provide you directions to the Center. Enter a Drawing to Win a Build-a-Barrel 50-Gallon Tank Rain Barrel. The city of Mahtomedi is giving the opportunity for Mahtomedi utility customers to enter a drawing to win the Build-a-Barrel by simply opting out to receive paper utility bills. The event will also feature spruce trees to be given away, the opportunity to receive information and participate in the Mahtomedi Trail Walk, beekeeping information, solar garden opportunities and much much more! Article courtesy of the City of Mahtomedi. Photo courtesy of the White Bear Press.